My sister and I grew up playing with American Girl dolls. Their creator - Pleasant Rowland - lived just outside of Madison, so the dolls debuted in our neck of the woods before they made their way across the rest of the United States. We had first edition Kirsten and Molly dolls, both of which have been discontinued, and back then we shopped for their furniture and accessories through a catalog and/or at the annual American Girl sale in the company's warehouse. Though Rowland eventually sold her Pleasant Company to Mattel, the brand has continued to grow and is even more popular today than when my sister and I first fell in love with our dolls. When Hallie and Lily began asking for dolls of their own two years ago, Sara and I decided to simply (but secretly) gift them our dolls. This worked out well for two reasons: first, my doll looks a lot like Hallie and Sara's doll looks a lot like Lily, and second, anyone who has ever browsed the catalog or visited the website knows the dolls are PRICEY. 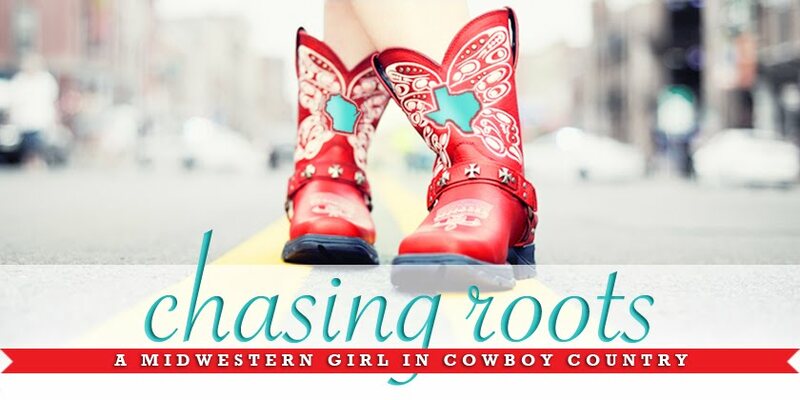 Our girls are none the wiser...at least until they someday read the Chasing Roots archives. 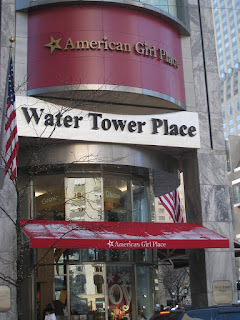 More than five years ago I wrote a blog post about my plans to one day, perhaps at the ages of seven and five, take Hallie and Lily on a dream shopping trip to the flagship American Girl Place in Chicago. (Sara and I had - shockingly, given Madison's proximity to Chicago - never visited the store, primarily because it opened after we had begun to outgrow our dolls.) We wanted to experience the magic through Hallie and Lily's eyes, so over Christmas vacation we finally made it happen. We had a bit of a rough start to our road trip and Lily threw up (poor girl "inherited" my motion sickness) as we drove around downtown Chicago in search of a parking spot, but once we stepped out into the bright morning sunlight and felt the brisk lakeside air on our cheeks, our day improved tremendously. While we chose the best time of year to visit American Girl Place in terms of sales, we chose the worst time of year to visit American Girl Place in terms of crowds. Every little girl in a five state radius had chosen that morning - midway through winter break and just a few days after the holidays for which they had received an American Girl doll - to converge on Michigan Avenue. Thankfully we already had lunch reservations, and because we arrived just as the store opened, and were were able to make hair appointments for the dolls in under 10 minutes. We spent the first hour browsing the store, oohing and aahing at the adorable outfits and accessories and trying out all of the interactive displays. We then took a break from the chaos to have lunch in the on-site restaurant. 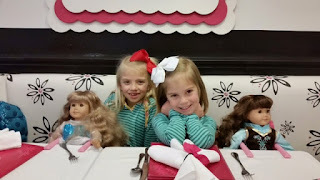 Every part of the dining experience - a beautifully and whimsically decorated space, delightful accommodations for little girls and their dolls, bubbly waiters and waitresses, and perfectly chosen and prepared food - exceeded my expectations. We received a plate of miniature cinnamon rolls immediately upon seating, and within two minutes a server arrived to take drink orders and drop off an appetizer platter of veggies, dip, hummus, bruschetta, and miniature pigs in blankets. After our entrees, the American Girl restaurant guaranteed our positive review by bringing out miniature candy cane sugar cookies and chocolate mousse served in miniature flower pots. Did you catch the miniature theme? Almost everything was little and adorable and made us say, "oh my goodness - that's so cute!" The dolls' hair and ear piercing appointments went smoothly - "they didn't cry at all! ", reported our stylist when she brought the dolls back after getting their ears pierced - and then we made our final decisions. Thanks to Grandma Brenda, Hallie and Lily each brought home two accessory sets as well as ice skating and ballet outfits for their dolls. Both girls walked out of the store with wings on their feet and smiles on their faces. 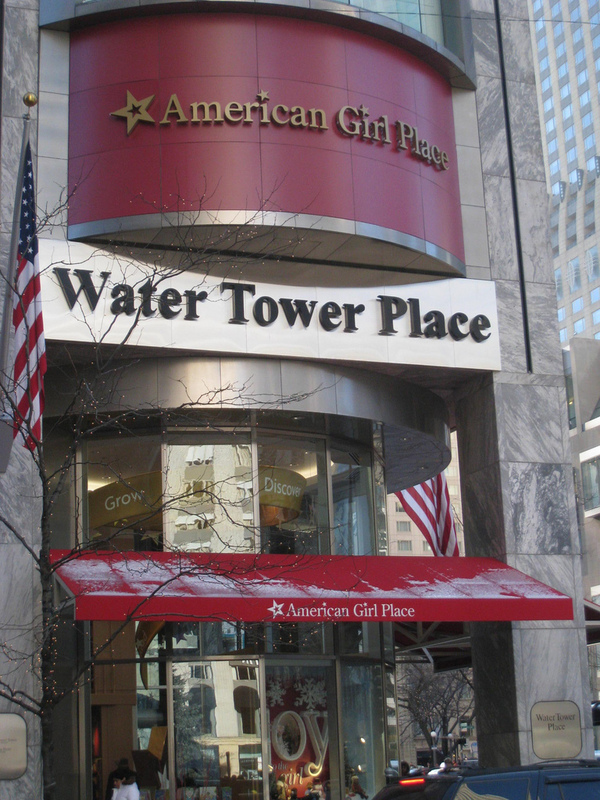 I have no plans to visit American Girl Place - in Chicago or anywhere else - in the near future, as I think shopping at stores like these should be reserved for special occasions. But should Hallie and Lily love their dolls as much two years from now as they do now, I anticipate another road trip to Michigan Avenue for the girls...and another walk down memory lane for their moms.